Boss Wang: What style of Kung Fu is this? Chao Yen-Cheh: Roof-top Kung Fu! 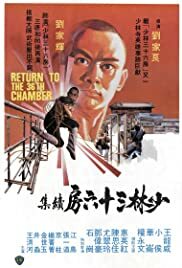 This movie has a lot of comedy, not dark and Gordon Liu shines in this one. He displays his comical side and it was really weird seeing him get beat up. His training is "unorthodox" and who would've thought knot tying could be so deadly?? Lots of great stunts and choreography. Very creative! Add Johnny Wang in the mix and you've got an awesome final showdown! Don't mess with Manchu thugs; they're ruthless!